Raise your paw (or hoof) if you want to raise big money. Ready to save more lives? If animals are your passion, ARF Club is the place to be! 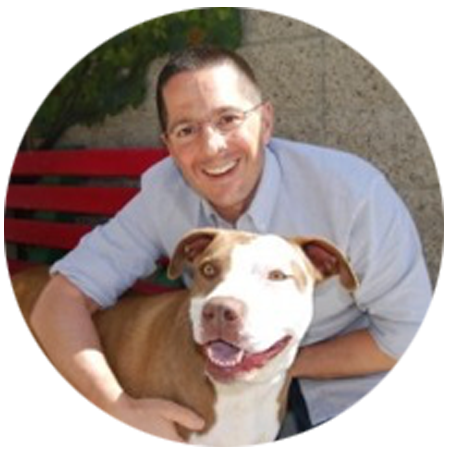 Get the training and support you need to raise serious money for your animal rescue nonprofit. Raise Money to Save Lives. It’s Easier Than You Think. Learn the step-by-step formula that creates repeatable funding, so you stop worrying about money and double the number of animals you save. Learn how to ask for money when you need it (and without begging). Surround yourself with a rush of new donors who are happy to support your work time and again. Keep donors reading, responding and GIVING! Learn what words and messages stick with donors, so you grab people by the heartstrings and open their wallets. You don’t have time to waste. Animal lives matter. Use a proven, step-by-step system that helps animal rescue nonprofits raise serious money to fund your big dreams. Animals are your heart and passion. And your heart breaks for them because they depend on you for help. But saving animals also means you need to raise the kind of money you’ve never raised before. The problem is you can’t make the big changes you deeply want to make without a fully funded budget. Too many times, it can feel like all you’re doing is begging for help, working 24/7 and still barely getting by. When it comes to fundraising, I hate seeing people struggle, feeling stressed or stuck. That’s why I created ARF Club. It’s a place where you learn how to create sustainable, repeatable funding for your animal rescue programs — so you find donors easily, never wondering if you’ll have enough money, and saving even more animals. You didn’t have to worry about money every month and know you have tools or resources to bring in big money any time you need it. You no longer have to scrape coins together to cover expenses because there’s plenty of money in the budget for all your programs. You no longer waste time figuring it out all by yourself and know that you have a simple and easy process that works every time. You could double the number of animals you save or help because you no longer feel overwhelmed or unsure of what to do next. The more money you raise, the more lives you can save. ARF Club will show you how. Animals are you heart and passion. And your heart breaks for them because they depend on you for help. But saving animals also means you need to raise the kind of money you’ve never raised before. When it comes to fundraising, I hate seeing people struggle, feeling stressed or stuck. That’s why I created ARF Club. It’s a place where you learn how to create sustainable, repeatable funding for your animal rescue programs — so you find donors easily, never wonder if you’ll have enough money, and help save even more animals. We’re here to build your skills, answer your questions and make sure you save more animal lives. Fundraise like a Pro. We’ll show you the exact steps you need to follow to bring in more money. Find donors, build loyalty and inspire trust with the right message mix that gets donors giving. Animals need your help too. Create plans, take action and double the lives you save! Want to see the specific topics covered in ARF Club? “Before we joined ARF Club, we had no plan and were struggling for ideas. Basically, we were doing a bunch of “let’s try this” and hoping for the best. There was Lots of guesswork and lots of sleepless nights worrying about having enough money to cover expenses. Once we found ARF Club, is was like someone handed us a road map to follow. ARF Club takes away the mystery and gives you the solid direction and knowledge you need. No matter where you are in your fundraising journey (starting from zero or in an established organization) you will learn and profit from the lessons. Our funding is diversified (no more relying on one grant) and our fundraising income has gone through the roof! We go into each season confidently knowing we will be able to easily cover costs. This lets us focus on what we really want to do: save more lives at the shelter. The strategies I’ve learned in ARF Club have allowed us to build momentum and fundraising has taken on a life of its own. It’s unbelievable how many sizable *unsolicited* donations we’ve received because we’ve gotten our story out there. Sometimes it literally feels like money is falling out of the sky! Maybe best of all is the fact that we now have a healthy “rainy day fund” in the bank which is a tremendous reassurance and help for the organization when emergencies happen. “The Get Fully Funded materials have helped our organization focus on building relationships and not the monetary transaction, which has been the key to fully funding our success and keeping the guinea pigs in our care healthy, happy and on their way to new forever homes. Using Sandy’s methods, we raised more money in 2015 than we did in the previous 5 years! She explains things clearly and she genuinely cares about our success. “I started my nonprofit with very little experience in fundraising, so I love the guidance I’m getting! I love the camaraderie and insight I get from other Club members. We followed Sandy’s advice on thanking donors and I made a point of hand writing a thank you card to every donor, the day we received the donation. It didn’t take long before we had profound results. Nearly HALF of those who donated made a second donation within a week of receiving their card. I am THRILLED that we raised over $30,000 – more than double our goal! Join ARF CLUB and learn a simple formula that helps animal rescue nonprofits like yours get fully funded more quickly. Stop guessing at what might work and save more lives using the proven, step-by-step system that gets you big money results. Just $17 for the first 30 days! I guarantee that you’ll get amazing value each month in ARF Club. If you sign up for ARF Club and aren’t completely satisfied with the materials and support, just let my team know within your first month and we’ll cancel your membership. Easy peasy.